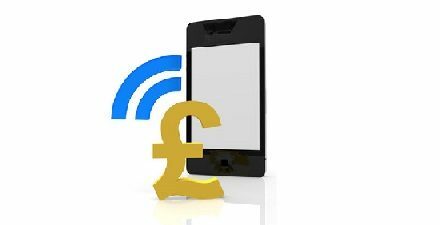 Touch Lucky Mobile Casino Review -- £500 Match + £5 Free Bonus! 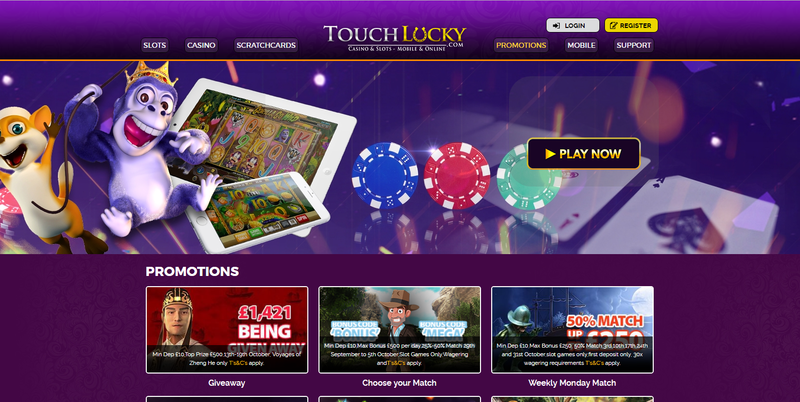 Touch Lucky is an excellent casino with a free, no deposit £5 bonus! If you’re normally a gamer on the go, you could be in luck finding your perfect casino. Touch Lucky Casino is a gambling site specifically designed for mobile users in the United Kingdom. With a stunning purple and gold theme and a horseshoe featured in the logo, this site is sure to bring you some good luck if slots, casino games and scratch cards are what you’re after. As we all know by now, we love mobile slots. So, naturally, we're always on the hunt for casinos that work as well on the smaller screen as they do on desktop. Touch Lucky, fortunately, excels at this. 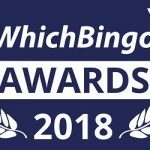 It's filled to the brim with great mobile slots and casino games, and they all come packaged in an easy to navigate and responsive mobile app. While the colour scheme on this site can be a little much on a desktop, on mobile it's bold and eye-catching. The site was established in 2015, is owned by Nektan Limited Casinos, who are well known for producing high quality mobile sites. Plus, it's licensed by the Gibraltar Regulatory Authority and UK Gambling Commission, meaning you know you're in safe hands. 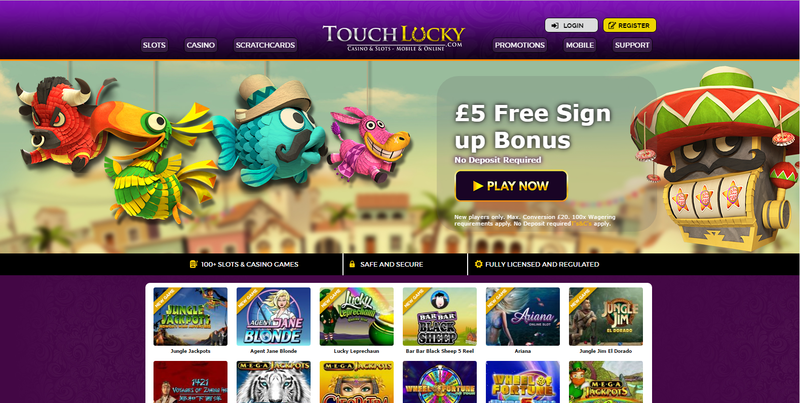 If Touch Lucky sounds right up your street and you are looking to sign up, then prepare to be treated to a £5 no deposit bonus as soon as you validate your account. Touch Lucky Casino are also offering new players up to £500 on your first three deposits made with a fantastic welcome package. The first deposit you make, you are entitled to a 200% match up to £50 in bonus. Second time round it drops to a 100% match bonus up to £200 in bonus and finally, your third deposit has a 50% match bonus up to £250 in bonus. So many bonuses it’s hard to keep track! There’s also a chance to earn some extra pennies at Touch Lucky, as they have both weekly and seasonal promotions in store. with 10% Cashback Tuesdays on offer. Deposit a minimum £10 during your Tuesday and earn 10% cash back up to the value of £50 on your losses. Players can also visit the Bonus Bank from Monday to Thursday between 6pm and 9pm and get 25% up to £50 on your first eligible deposit. From time to time, you’ll also find a seasonal one-off promotion which offers players the chance to win even more fantastic prizes so you should keep your eye out for them. With all these promotions to take advantage of there will never be a dull moment at this top casino site! 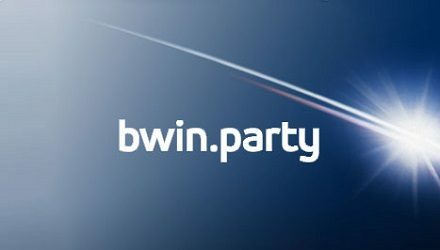 The site also offers an invitation-only VIP programme where you can earn 1 point for every £10 you wager. Benefits include cash back, prizes and extra spins to use on the site. The slots and casino games featured on Touch Lucky Casino are run by everyone’s favourite gaming studios; NetEnt, Nektan and NextGen to provide players with high-quality gaming that doesn’t have to be played on a desktop for maximum impact and effect. You can play all these games on Android, iOS, Blackberry and Windows. They really have players covered on the technology side! 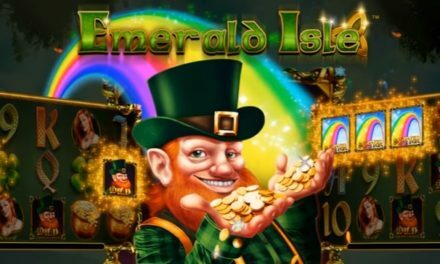 It also has some of the most popular slot games around at the moment featured on the site such as Spinata Grande, Foxin’ Wins Again, Doubleplay Super Bet, Dolphin Gold, Gorilla Go Wild, Jack and the Beanstalk, Spin Sorceress, Piggy Riches, Jack Hammer 2 and Merlin’s Magic Respins. There aren’t too many surprises with the slots available on Touch Lucky Casino, but if you’re just looking for your favourites you are sure to find them here. The site is lacking with its range of table casino games, however, as it only offers Blackjack, Multihand Blackjack, and Roulette. Not a great selection for those looking to play these types of games, especially if you are a poker fan. At Touch Lucky, players can deposit via Visa, Mastercard, Maestro, Solo, Boku, Skrill, Skrill 1-Tap, Neteller, and Paysafecard. We're glad they've adopted Boku as it reinforces the fact that this site is great on mobile. The site also offers a variety of withdrawal methods. You can cash out via Maestro, Mastercard, Paysafecard, Visa Electron, Visa, and Skrill 1-Tap. The withdrawal limit is pretty high on this site at £10,000 per day which is perfect for when you scoop up that big jackpot. As with many other sites, Touch Lucky Casino does not provide PayPal as a payment option but there’s plenty of other ones to choose from. We love it when a casino offers more than one customer support option and Touch Lucky ticks this box. Help is never far away, and you can contact the casino via email or telephone. You can even write them a letter if you fancy getting in touch the old fashioned way. For us, customer support is extremely important and we like how Touch Lucky have given players a choice of ways to contact them. It assures players that the company is transparent and means you can speak to a human being straight away when a problem arises, instead of being stuck in a standard Live Chat conversation. The site also offers a comprehensive FAQ section, so make sure to look here if you have any non-urgent queries. Want to play at Touch Lucky? It's a brilliant Nektan casino with the most popular games and plenty of banking solutions! Touch Lucky We're impressed by Touch Lucky. We love their easy to use mobile app, and their great range of games. There are a few negative points to this site such as the lack of Paypal and those very high wagering requirements on the no deposit bonus. Their less than extensive classic table casino games collection won't be winning awards any time soon, but if your a slots fan like us, and a mobile casino fan at that, you could do much worse than playing at Touch Lucky. Heck, we'll even go as far as saying we think you'll particularly enjoy it! Sapphire Rooms Review, Up to £500 Bonus!